Poughkeepsie, NY the Trinity United Methodist Church (Trinity UMC) Neighborhood and Discovery Program began to respond to the need for emergency services and to advocate for those with limited means. Space and volunteers were provided by Trinity Church, initial funding came from the Methodist New York Conference, and Mary Keeley was a part-time staff member. The program became a Satellite of the Model Cities Citizen’s Center and a block grant between the City of Poughkeepsie and Trinity UMC funded one half of Mary Keeley’s salary as full-time director of the Satellite Center. Marist College provided a student assistant. As the need for information, referrals, direct service and follow-up increased, a second full-time staff member was funded by the Poughkeepsie Community Development funds. The Emergency Food Pantry opened to provide a three-day supply of nourishing food. 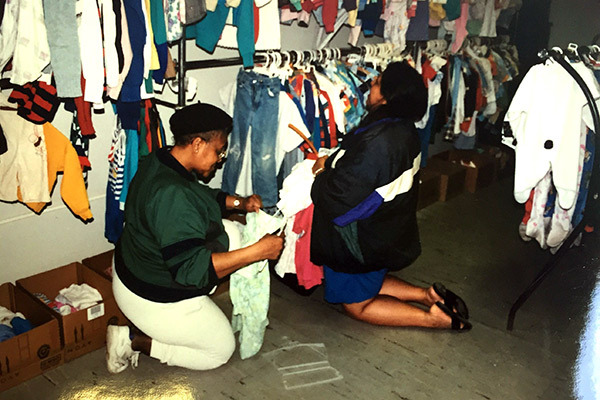 The Children’s Clothing Closet was launched at Trinity UMC, later moving to First Congregational Church before settling, under the auspices of Dutchess Outreach, at the Family Partnership Center in 1998. 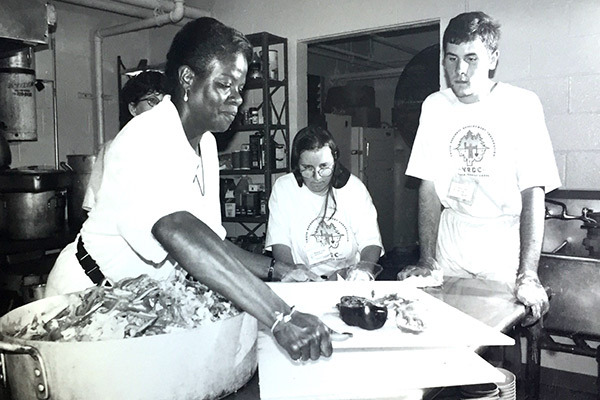 The Lunch Box opened in the basement of St. Paul’s Episcopal Church, Poughkeepsie providing a mid-day meal five days a week, later expanding to include Sunday lunch. The Annual Coat Drive and Giveaway launched, collecting and distributing as many as 6,000 coats annually at locations around Dutchess County. 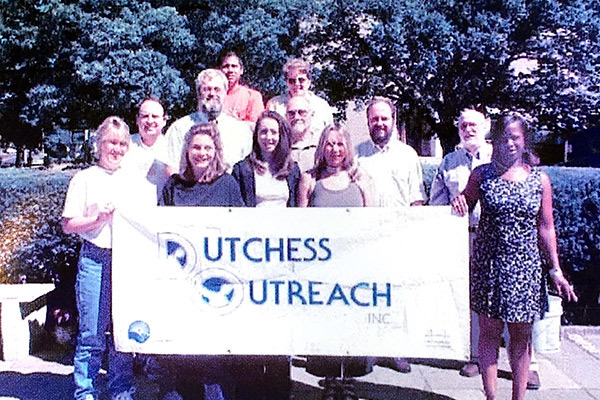 Dutchess Outreach became the sponsoring agency to Acts of Kindness, a community initiative to provide basic necessities, appliances, bedding, etc. for people in transitional housing situations. Dutchess Outreach was awarded a contract to provide home-delivered meals to people homebound with AIDS. The name GIFTS was conceived a few months later by the recipients. GIFTS is an acronym for Giving Individuals Food for The Soul. With the addition of public, private and foundation support, Dutchess Outreach expanded its emergency financial assistance component for those in need, particularly with prescription costs. All emergency relief programs and administrative offices of Dutchess Outreach moved to the Family Partnership Center. In collaboration with the Mental Health Association, the Lunch Box expanded its use to be a cold weather weekend emergency day shelter for homeless people when the Partnership Center closes early. The Lunch Box began offering meals for the Teen Resources Activity Program, an after-school program of the City of Poughkeepsie School District. The Lunch Box began providing evening meals at the end of each month, in collaboration with various faith communities, and professional, business and volunteer groups from around Dutchess County. Most months this now amounts to at least 10 evening meals. In addition, The Lunch Box began preparing meals for the Real Skills youth program, an additional program from the City of Poughkeepsie School District that offers after-school programs for students from elementary age through high school. The Poughkeepsie Plenty Fresh Market starts rolling through the City of Poughkeepsie offering affordable, fresh, locally farmed foods to city residents. Dutchess Outreach expands its Urban Farming initiative in the Fallkill Community Gardens located behind the Family Partnership Center in the heart of the City of Poughkeepsie.